The Flower School is a professional registered training school based in Brisbane since 2004. We offer both Certificate II, III & IV in Floristry as well as an exciting range of Courses, Workshops & Masterclasses for the floral enthusiast, including an Introduction to Floristry course, Event Styling and Advanced Bridal course. We also schedule several fun seasonal and specialized workshops and masterclasses throughout the year. We deliver high quality personalized training with tutor-led demonstrations followed by hands-on student participation. You will master traditional and contemporary techniques under the guidance of our qualified trainers. Our courses are composed of small-group training in a modern, floral industry atmosphere. We ensure your understanding with all aspects of the trade, whether for business or pleasure. Amanda Meads credits much of her success and high standards to the perfectionist training she received under a Dutch flower master in New Zealand. 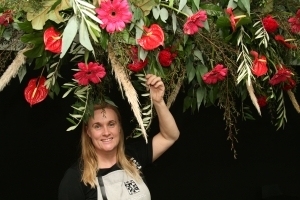 During her 40 -year career Amanda has designed and created elaborate floral installations, opened and operated retail shops and floristry schools, in London and New Zealand. She has participated in styling high profile events in London, the UK, Europe, and New York. She established The Flower School in Brisbane in 2004. Yvette Hubbert brings an Arts & Design background with 25 years of floristry experience to her work at The Flower School. 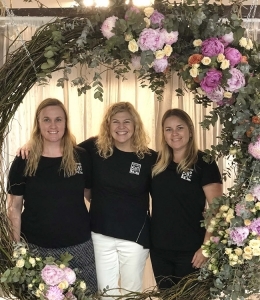 She has worked with the elite of the industry in London, New Zealand and Australia and is passionate about teaching and mentoring floristry students to excel within this industry. She brings a wealth of knowledge on retail and merchandising. Naomi Cross is our talented and friendly RTO compliance officer and Enrolment manager. She is always happy to help with her bright bubbly personality and answer any queries you may have. She loves the atmosphere communicating well with the students. Her high level of customer service and practical skills keep The Flower School humming!